There’s not a lot of room between the side of the boat and the edge of the canal! 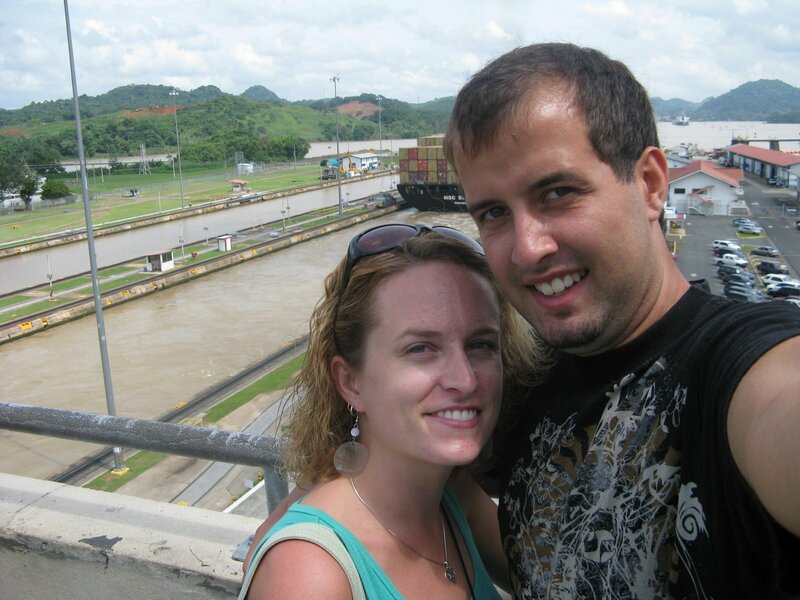 Me and Alex with a container ship in the background. 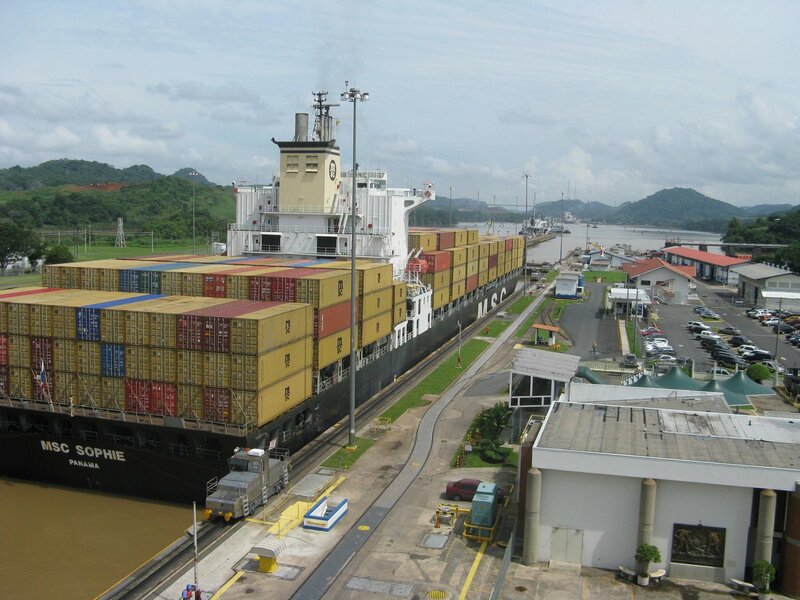 Depending on the size of the boat and the cargo it can cost up to several hundred thousand dollars to go through the canal. The cost to take a personal boat through is cheaper….just a few thousand. Big red boat with another boat lined up waiting behind it. There are two canal lanes, but they only use one at a time. 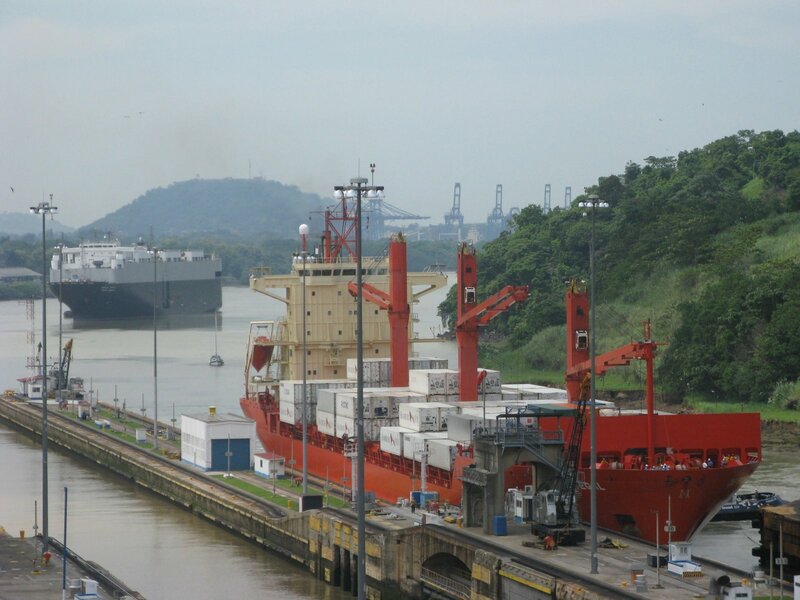 Panama is currently remodeling the canal and creating three additional locks that will allow larger ships to go through while using less water and energy to do it. Currently they have only started the excavation, but the project is set to be completed in 2014. 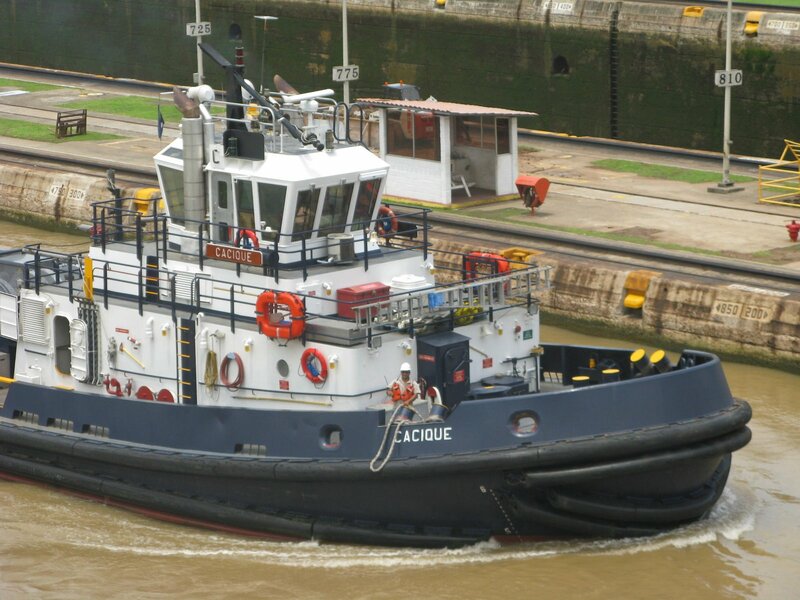 Tugboats go through the locks along with the big boats. 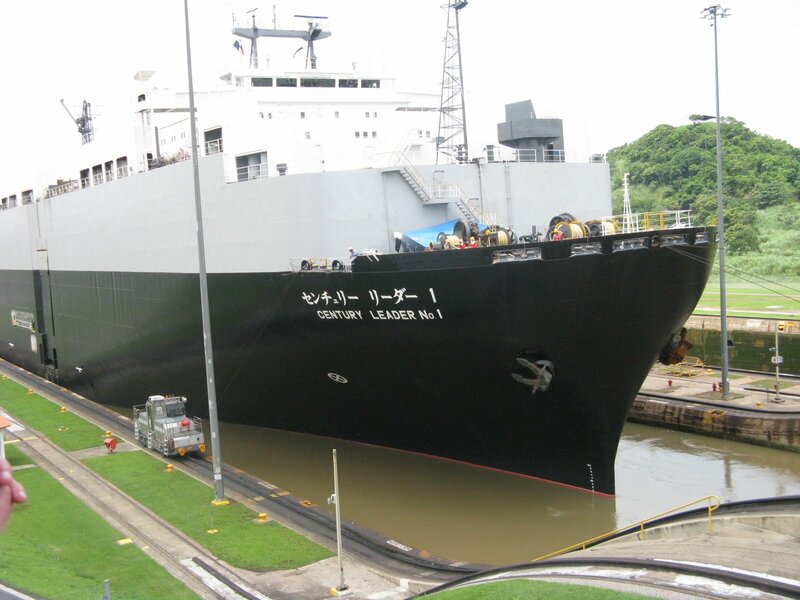 The ships use their own motors within the Canal, but the tugboats help guide them into each lock. 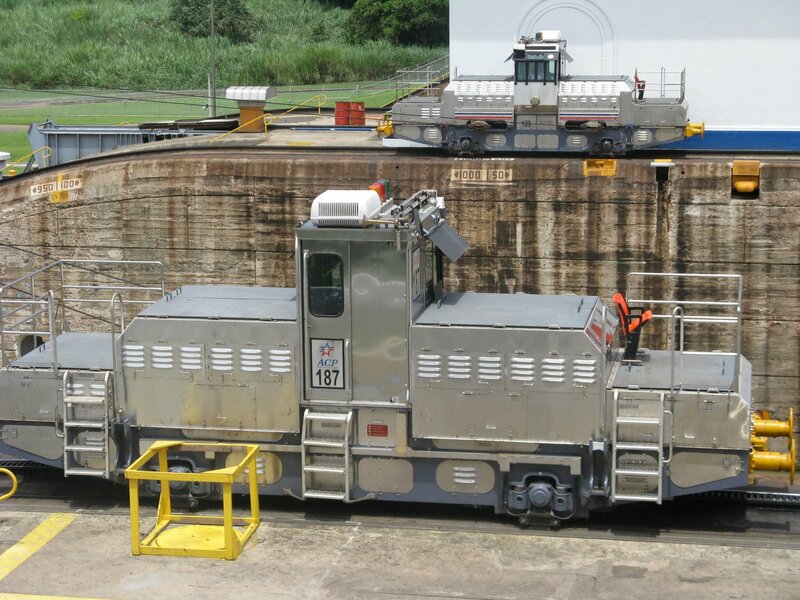 These locomotives run along the locks to help the ships stay away from the walls. The employees on this boat were taking pictures too! 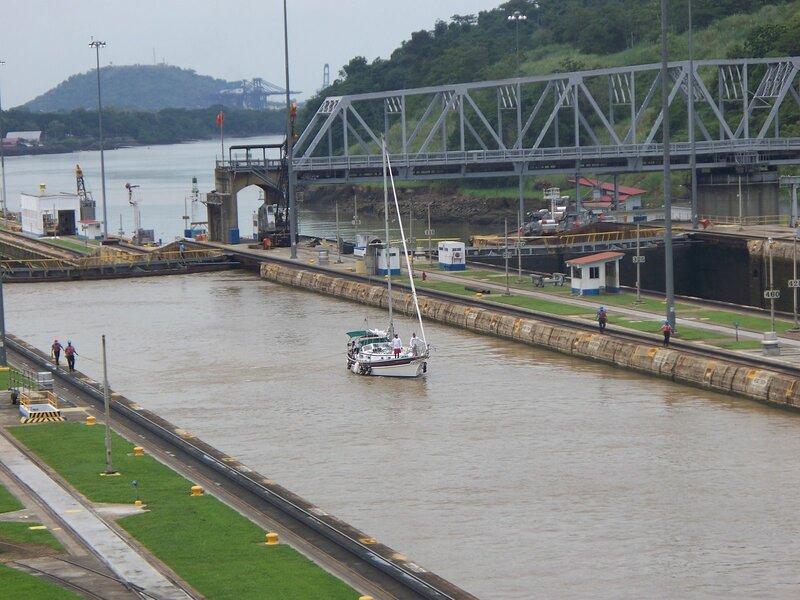 A canal engineer boards each ship to help lead it through the canal system. It takes nearly 24 hours to get through the whole canal once wait time is factored in. This sailboat looked shrimpy after watching all the container ships! Posted in Panama, TripsBookmark the permalink. Good you revisited the canal for your great grandmother. Grandma Maltby would have been thrilled as it was her father who worked on the canal in his youth I believe. I don’t know his exact age. We don’t know much more about it, although you said you had seen a few Maltby names also.